McALLEN — A U.S. District Judge sentenced two Gulf Cartel members to a combined more than 30 years in prison for their involvement in a shooting that unfolded on Interstate 2/Expressway 83 nearly two years ago. On Tuesday, District Judge Randy Crane sentenced Nery Gonzalez Jr., 29, and Luis Angel Gonzalez, 21, brothers from Edinburg, to more than 17 years and 15 years in prison, respectively, for their roles in the drug-rip-turned-shooting in the middle of day in San Juan nearly two years ago. Nery pleaded guilty in April to two of the three counts against him: possession of a controlled substance, and conspiracy to commit a violent crime. In exchange, the government dismissed an additional federal drug charge related to the Oct. 9, 2015, incident. Luis Angel also pleaded guilty to the same charges for the dismissal of the third charge, court records show. The brothers, who were working for the Gulf Cartel at the time, were arrested separately nearly two weeks after they, along with two other men, Arturo G. Saldivar-Abrego, 30, of Edinburg and Eliezer Jesus Vela, 39, of Hidalgo, attempted to steal several bundles of marijuana from another man, a fellow Gulf Cartel member, on Oct. 9, 2015, court records show. The Gulf Cartel is a criminal syndicate and drug trafficking organization based in Matamoros. 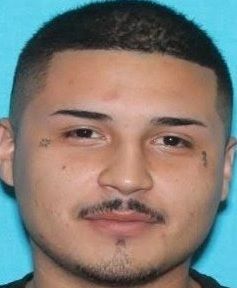 On that day, police began chasing the four men, who were inside a Chevy Tahoe, just before 1 p.m. on the Expressway near Raul Longoria Road and westbound Frontage Road after a call about shots fired, according to the criminal complaint. Moments later, officers gave chase to a gold Chevrolet Tahoe, which officials later determined was occupied by the Gonzalez brothers, Saldivar and Vela, which was seen driving away from the blue Expedition to an area north of Donna. But officers said they lost three of the four men in the surrounding neighborhood. Later that night they detained and arrested one man, later identified as Saldivar, after authorities discovered him hiding in a nearby sugarcane field. Saldivar told federal agents that he and three other men got into the Tahoe and left to an unknown location to pick up weapons, including a handgun and an AK-47 assault rifle, which would be used to intercept the Expedition carrying bundles of marijuana, records state. The group located the Expedition near the intersection of Expressway 83 and Farm-to-Market Road 1015. Saldivar said the driver rammed the Tahoe into the Expedition while the other men in the vehicle shot at the Expedition in an attempt to pull them over, according to the criminal complaint. Saldivar said the driver pulled over to the side of the road and exited the vehicle and ran southbound, court records state. During their interviews with investigators, both Gonzalez brothers admitted to shooting at the Expedition in an attempt to stop and unload bundles of marijuana from the vehicle, according to court records. Vela was arrested at a later unknown date. At the time of the brothers’ arrest, San Juan Police Chief Juan Gonzalez said it was very likely the brothers were not only trying to evade local and federal law enforcement officials, but also hiding from Gulf Cartel members looking for retribution after word of the attempted theft of the drug-load got out. 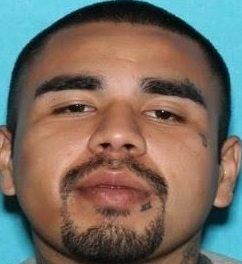 Law enforcement officials said Nery was considered to be a violent “hardened” criminal and in the days following the attempted rip, he was said to be making threats toward law enforcement. Luis Angel had been linked to other drug-load rip-offs. Saldivar pleaded guilty last April to a federal drug conspiracy and was sentenced to eight years in prison in March, with additional four years supervision after his release, according to court records. Vela also pleaded guilty to the federal drug charges and was sentenced to five years in prison, with an additional four years of supervision, court records show.